PAUL MARTELL IS ONE OF AUSTRALIA’S LEADING AND MOST SUCCESSFUL CORPORATE COMEDY ENTERTAINERS AND EMCEE’S…. “Paul who?” I hear some of you say! Well you may not have heard of him, but he has been voted COMEDIAN OF THE YEAR by his peers on an unprecedented 24 occasions at the coveted “MO”, “ACE’ & “VARIETY CLUB HEART AWARDS”, the latest being 6th April, 2016. He remains in constant demand and is still one of the busiest comedians in the business due to his ability to continually ‘re-invent’ himself, stay fresh, non-offensive and current. PAUL’S INCREDIBLE ADAPTABILITY at being able to work in any arena, has seen him make numerous appearances for major ‘Corporate’ events as well as ‘Sporting’ events such as the AFL & NRL GRAND FINALS, BLEDISLOE CUP, A LEAGUE, STATE OF ORIGIN, AUSTRALIAN OPEN TENNIS, FORMULA 1, MELBOURNE CUP FOR CROWN CASINO and SUPER V8’S on the Gold Coast. He has also performed on prestigious ‘Cruise ships’ such as QUEEN MARY 2 and in ‘Concert halls’ around Australia with international legends such as SHIRLEY BASSEY, JULIO IGLESIAS, SHIRLEY MacLaine AND ENGLEBERT. 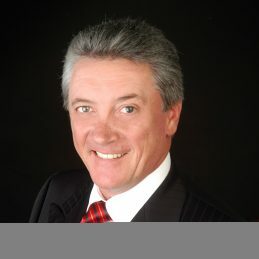 As a ‘MASTER OF CEREMONIES’ he is continually re-booked at conferences and award dinners such as the PARK TRENT PROPERTIES GROUP whom he has toured Australia with for 3 years as MC /Comedian with JESSICA MAUBOY, SAMANTHA JADE, DAVID CAMPBELL AND LEO SAYER, and has recently been confirmed for a fourth year with KATE CEBERANO. IN 2015 Paul and his wife JANE SCALI, were invited to entertain on the GALLIPOLI CENTENARY CRUISE alongside BERT NEWTON, DARYL BRAITHWAITE, KATE CEBERANO, JOHN WILLIAMSON, ROSS WILSON and NORMIE ROWE. Paul’s HOAX CHARACTERS are specifically tailored to your business and his brilliant impressions of SEAN CONNERY, MICHAEL CAINE, ROBERT DeNIRO, RUSSELL CROWE, JACK NICHOLSON AND NICOLAS CAGE to name a few, are a highlight of his act.